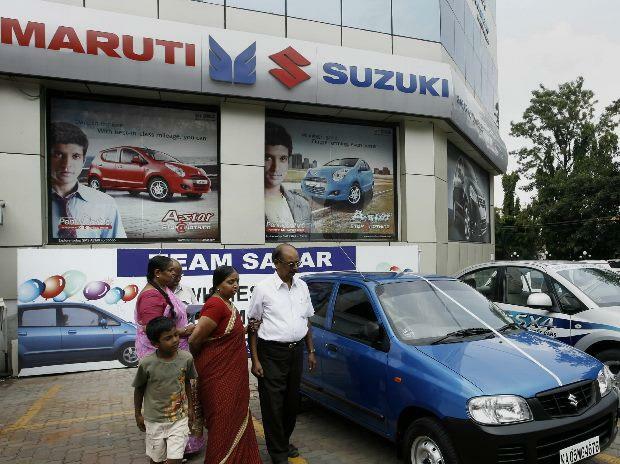 Maruti Suzuki India hit a new high of Rs 9,768, up 5% on the BSE in intra-day trade, making its entry into the list of the top-5 most valuable companies by market capitalisation (m-cap). With an m-cap of Rs 294,641 crore, Maruti Suzuki India now features at fifth rank in the list by replacing fast moving consumer goods (FMCG) company Hindustan Unilever (HUL) from this prestigious club. HUL have m-cap of Rs 291,382 crore at 02:48 pm, the BSE data shows. Thus far in the calendar year 2017 (CY17), Maruti Suzuki India has outperformed the market by surging 83% as compared to 27% rise in the S&P BSE Sensex. HUL was up 63% during the same period. Maruti Suzuki India stood at number 11th position at the beginning of the CY17. It surpassed Oil and Natural Gas Corporation (ONGC), Infosys, Housing Development Finance Corporation (HDFC), State Bank of India (SBI) and Coal India so far in CY17. Thus far in December 2017, Maruti Suzuki India surged 13% after the company posted healthy double-digit sales growth in the month of November, overcoming post festive season lean phase. The country's largest carmaker said its domestic sales were at 145,300 units, up 15% from 126,325 in November last year. The sales were mainly driven by compact segment comprising Swift, Dzire and Baleno, which jumped by 32.4% to 65,447 units last month.